We’ve taken a long, hard look at our systems and have not found any problems. However, after digging into user reports, we’ve noticed that these interruptions are closely correlated with searches for a particular subset of queries. So starting today we’ll notify users in mainland China when they enter a keyword that may cause connection issues. By prompting people to revise their queries, we hope to reduce these disruptions and improve our user experience from mainland China. Of course, if users want to press ahead with their original queries they can carry on. In order to figure out which keywords are causing problems, a team of engineers in the U.S. reviewed the 350,000 most popular search queries in China. In their research, they looked at multiple signals to identify the disruptive queries, and from there they identified specific terms at the root of the issue. We’ve observed that many of the terms triggering error messages are simple everyday Chinese characters, which can have different meanings in different contexts. For example a search for the single character [江] (Jiāng, a common surname that also means “river”) causes a problem on its own, but 江 is also part of other common searches like [丽江] (Lijiang, the name of a city in Yunnan Province), [锦江之星] (the Jinjiang Star hotel chain), and [江苏移动] (Jiangsu Mobile, a mobile phone service). Likewise, searching for [周] (Zhōu, another common surname that also means “week”) triggers an error message, so including this character in other searches—like [周杰伦] (Jay Chou, the Taiwanese pop star), [周星驰] (Stephen Chow, a popular comedian from Hong Kong), or any publication that includes the word “week”—would also be problematic. Notices will appear matching the user’s language settings. In order to avoid connection problems, users can refine their searches without the problem keywords. For example, instead of searching for [长江], they could search for [changjiang]—which also means Yangtze River, but is written using pinyin, the system used to transliterate Chinese characters into Latin script. This won’t cause a timeout, but will still generate search results related to the Yangtze River. We’ve said before that we want as many people in the world as possible to have access to our services. Our hope is that these written notifications will help improve the search experience in mainland China. If you’re outside China and are curious to see what the notifications look like, you can visit this link to try it out. Note: To read this blog post in Chinese, see this PDF. Starting today, when you use the Google Search app on your iPhone, you’ll see a completely redesigned interface that gives you faster results, beautiful full-screen image search, and a simple way to access all your Google apps in one place. When you’re on the go, you usually want to get things done quickly. Autocompletion of search suggestions is significantly faster in this latest version of the app, bringing you search predictions instantly with each letter you type. You’ll also notice that results load faster, and checking out webpages is easy with the slide-in panel. Quickly swipe back and forth between webpages and your search results, and swap between search modes like Images and Places with a swipeable menu. Finding text within a webpage is a snap as well; just try tapping the magnifying glass on the bottom menu option on any page. Searching for images will never again be a chore. Tap the images button at the bottom of the search results page, and watch high-resolution images load into a beautiful grid. Browse the images by scrolling down the full-screen grid, or tap on a single image to get details about it and then quickly swipe from image to image. 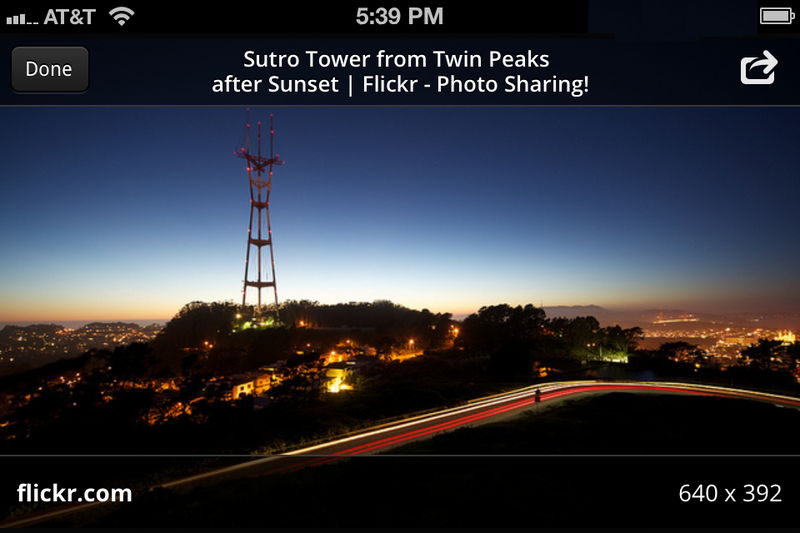 You can also tap and hold an image to save it to your camera roll to use as your wallpaper or share with a friend. 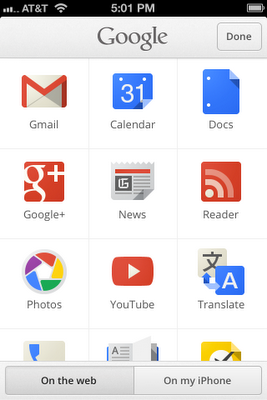 We’ve put all of your favorite Google services in one place for easy access. 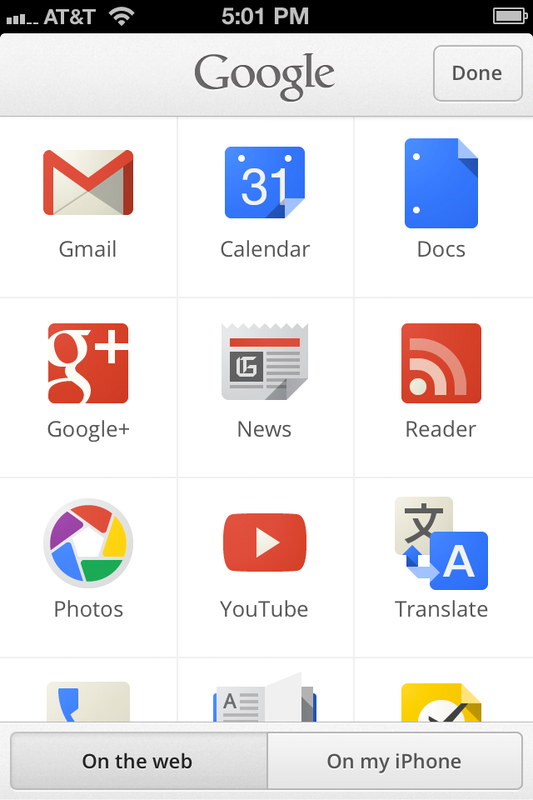 You can choose to browse Google web apps, or see just the apps that you have on your phone. Sign in once, and you’ll never need to sign in again to check a quick email, view your next calendar appointment or see what’s hot on Google+. 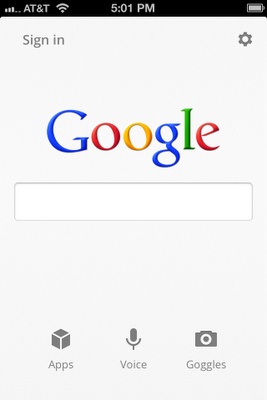 Download the Google Search app now for a fast, beautiful, simple search experience on your iPhone. We’ve always believed that the perfect search engine should understand exactly what you mean and give you back exactly what you want. And we can now sometimes help answer your next question before you’ve asked it, because the facts we show are informed by what other people have searched for. For example, the information we show for Tom Cruise answers 37 percent of next queries that people ask about him. In fact, some of the most serendipitous discoveries I’ve made using the Knowledge Graph are through the magical “People also search for” feature. One my favorite books is The White Tiger, the debut novel by Aravind Adiga, which won the prestigious Man Booker Prize. Using the Knowledge Graph, I discovered three other books that had won the same prize and one that won the Pulitzer. I can tell you, this suggestion was spot on! on desktop, smartphones, and tablets. On wireless networks and on small screens, every page load and every pixel matters when it comes to speed and ease-of-use. So we strive for efficiency and try to make the most of touch-based interactions when integrating information from Knowledge Graph into our mobile and tablet search experiences. For example, say this fall I’m heading to Chicago for a friend’s wedding, and I’ve heard I should check out Millennium Park while I’m in town. 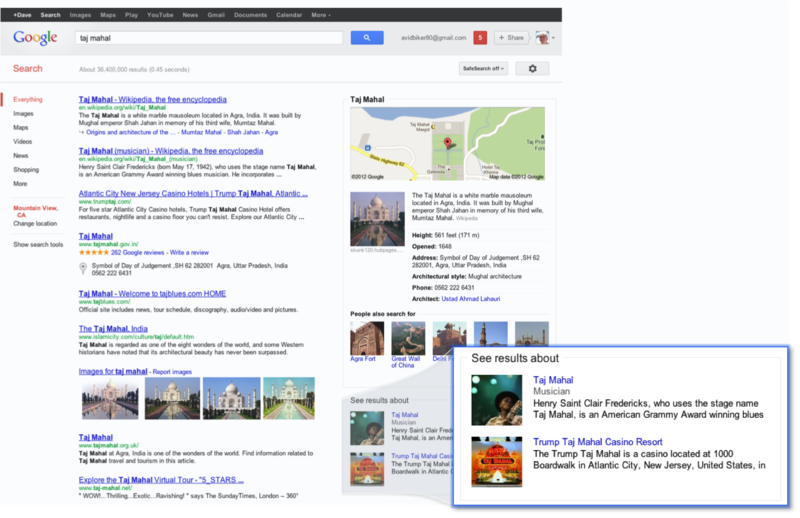 A quick search on Google brings up Knowledge Graph information embedded within the results. 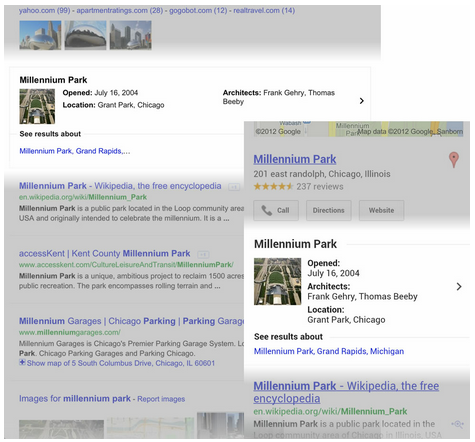 This initial peek shows what people are often interested in about Millennium Park. 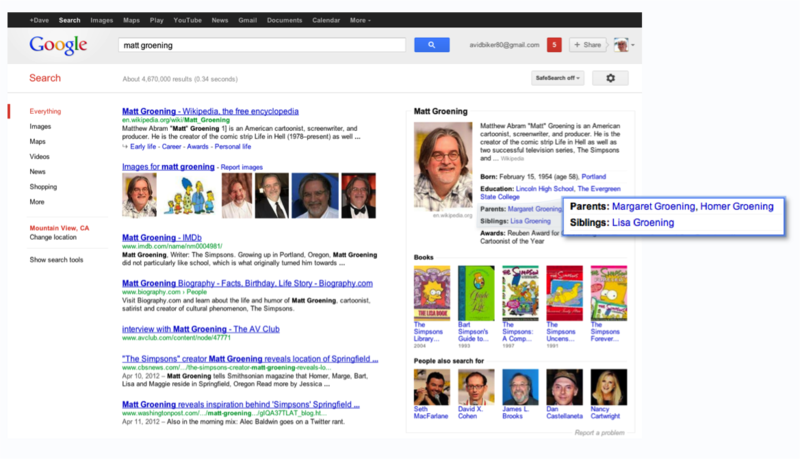 Tapping or swiping on the content from the Knowledge Graph instantly shows me more useful information. I can see if there’s an event going on while I’m in town, and get some ideas for other Chicago attractions I might want to visit based on what other people have searched for on Google. When searching on my tablet, I can swipe the rows of images to explore more related content. Now let’s take another example. Say I’m searching for [andromeda], which could be the galaxy, the TV series, or the Swedish band. The Knowledge Graph distinguishes between each of these meanings and shows me an interactive ribbon at the top of the search results that I can swipe and tap to select just what I’m looking for. That means less typing. These features are currently rolling out to most Android 2.2+ and iOS4+ devices. On Android, the feature is available through Google in the browser and the Quick Search Box. 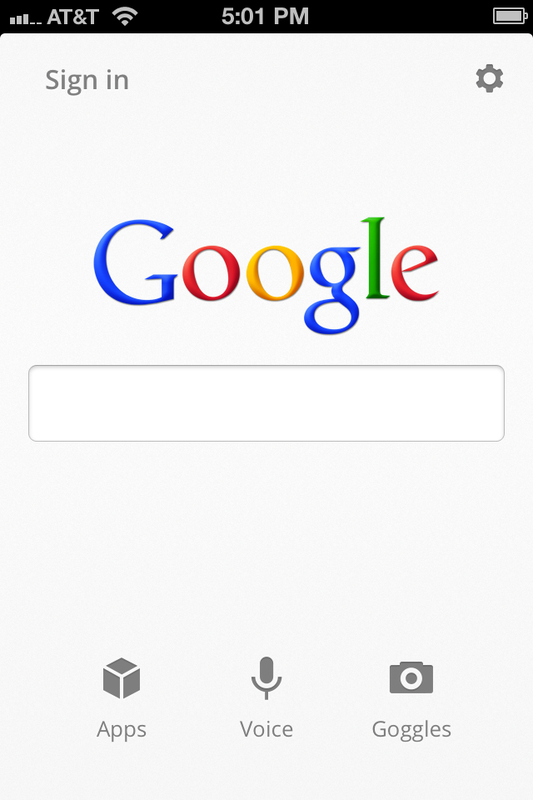 On iOS, the feature is available in the browser and will be coming soon to the Google Search App. Have you ever had a question pop into your head at an unexpected time? Maybe when you’re talking with a friend over lunch, watching TV at home, or reading a magazine on the bus? On smartphones and tablets Google is great for these types of situations because it puts the information of the entire web at your fingertips. Today, we’re making it even faster and easier to get answers and explore no matter where you are, with the launch of the Knowledge Graph on desktop, smartphones, and tablets. is the trivia game where searching for the answer on Google is not only allowed but encouraged. Since launching A Google a Day a year ago, millions of people have played and learned new trivia facts along with new ways to use Google search. Over the past year, you may have seen some questions written by our celebrity guest authors (Jane Goodall, Taylor Swift, and Vanessa Carlton, to name a few) and learned a search trick or two along the way. One piece of feedback we’ve continually heard from people is that they want to be able to share their scores, challenge their friends, and answer more than one question a day. So today, we’re introducing a new and improved version of A Google a Day on Google+ that makes the trivia more collaborative and fun. Now you’ll be able to challenge your friends to a test of trivia and search speed and figure out who’s the expert at discovering little known facts about literature, history, or science. Race to the top of the leaderboard and earn bragging rights to show off your master search skills. Through fast-paced competition and an exciting battle of the wits, we hope the new A Google a Day game triggers your imagination about all the types of questions you can ask Google. Start playing A Google a Day now—Click here to access the new version of the game (you’ll be prompted to log into your Google+ account) or look for A Google a Day in the Games section of Google+. The clues are currently only in English, but anyone can attempt to solve the puzzles. And let us know what you think on our Google+ page (tag your posts with #agoogleaday), on Twitter at @agoogleaday, or at agoogleaday@google.com. A Google a Day is the trivia game where searching for the answer on Google is not only allowed but encouraged. Since launching A Google a Day a year ago, millions of people have played and learned new trivia facts along with new ways to use Google search. Over the past year, you may have seen some questions written by our celebrity guest authors (Jane Goodall, Taylor Swift, and Vanessa Carlton, to name a few) and learned a search trick or two along the way. 6 May, 950am: We accidentally had one change included twice, "No freshness boost for low-quality content." We've removed the duplicate entry and updated the number of total launches from 53+ to 52+. - Ed. We’ve had a zerg rush of 52+ launches this month in search. One of the big changes for me was our latest algorithm improvement to help you find more high-quality sites. But, that’s not all we’ve been up to. As you may recall, a couple months back we shared uncut video discussion of a spelling related change, and now that’s launched as well (see “More spell corrections for long queries”). Other highlights include changes in indexing, spelling, sitelinks, sports scores features and more. We even experimented with a couple more radical features, such as Really Advanced Search and Weather Control, but ultimately decided they were a little too foolish. Categorize paginated documents. [launch codename "Xirtam3", project codename "CategorizePaginatedDocuments"] Sometimes, search results can be dominated by documents from a paginated series. This change helps surface more diverse results in such cases. More language-relevant navigational results. [launch codename "Raquel"] For navigational searches when the user types in a web address, such as [bol.com], we generally try to rank that web address at the top. However, this isn’t always the best answer. For example, bol.com is a Dutch page, but many users are actually searching in Portuguese and are looking for the Brazilian email service, http://www.bol.uol.com.br/. This change takes into account language to help return the most relevant navigational results. Country identification for webpages. [launch codename "sudoku"] Location is an important signal we use to surface content more relevant to a particular country. For a while we’ve had systems designed to detect when a website, subdomain, or directory is relevant to a set of countries. This change extends the granularity of those systems to the page level for sites that host user generated content, meaning that some pages on a particular site can be considered relevant to France, while others might be considered relevant to Spain. Anchors bug fix. [launch codename "Organochloride", project codename "Anchors"] This change fixed a bug related to our handling of anchors. More domain diversity. [launch codename "Horde", project codename "Domain Crowding"] Sometimes search returns too many results from the same domain. This change helps surface content from a more diverse set of domains. More local sites from organizations. [project codename "ImpOrgMap2"] This change makes it more likely you’ll find an organization website from your country (e.g. mexico.cnn.com for Mexico rather than cnn.com). Improvements to local navigational searches. [launch codename "onebar-l"] For searches that include location terms, e.g. [dunston mint seattle] or [Vaso Azzurro Restaurant 94043], we are more likely to rank the local navigational homepages in the top position, even in cases where the navigational page does not mention the location. Improvements to how search terms are scored in ranking. [launch codename "Bi02sw41"] One of the most fundamental signals used in search is whether and how your search terms appear on the pages you’re searching. This change improves the way those terms are scored. Disable salience in snippets. [launch codename "DSS", project codename "Snippets"] This change updates our system for generating snippets to keep it consistent with other infrastructure improvements. It also simplifies and increases consistency in the snippet generation process. More text from the beginning of the page in snippets. [launch codename "solar", project codename "Snippets"] This change makes it more likely we’ll show text from the beginning of a page in snippets when that text is particularly relevant. Smoother ranking changes for fresh results. [launch codename "sep", project codename "Freshness"] We want to help you find the freshest results, particularly for searches with important new web content, such as breaking news topics. We try to promote content that appears to be fresh. This change applies a more granular classifier, leading to more nuanced changes in ranking based on freshness. Improvement in a freshness signal. [launch codename "citron", project codename "Freshness"] This change is a minor improvement to one of the freshness signals which helps to better identify fresh documents. No freshness boost for low-quality content. [launch codename “NoRot”, project codename “Freshness”] We have modified a classifier we use to promote fresh content to exclude fresh content identified as particularly low-quality. Tweak to trigger behavior for Instant Previews. This change narrows the trigger area for Instant Previews so that you won’t see a preview until you hover and pause over the icon to the right of each search result. In the past the feature would trigger if you moused into a larger button area. 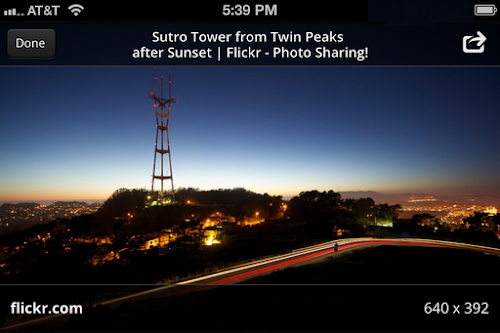 Sunrise and sunset search feature internationalization. [project codename "sunrise-i18n"] We’ve internationalized the sunrise and sunset search feature to 33 new languages, so now you can more easily plan an evening jog before dusk or set your alarm clock to watch the sunrise with a friend. Improvements to currency conversion search feature in Turkish. [launch codename "kur", project codename "kur"] We launched improvements to the currency conversion search feature in Turkish. Try searching for [dolar kuru], [euro ne kadar], or [avro kaç para]. Improvements to news clustering for Serbian. [launch codename "serbian-5"] For news results, we generally try to cluster articles about the same story into groups. This change improves clustering in Serbian by better grouping articles written in Cyrillic and Latin. We also improved our use of “stemming” -- a technique that relies on the “stem” or root of a word. Better query interpretation. This launch helps us better interpret the likely intention of your search query as suggested by your last few searches. News universal results serving improvements. [launch codename "inhale"] This change streamlines the serving of news results on Google by shifting to a more unified system architecture. UI improvements for breaking news topics. [launch codename "Smoothie", project codename "Smoothie"] We’ve improved the user interface for news results when you’re searching for a breaking news topic. 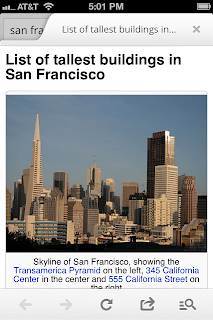 You’ll often see a large image thumbnail alongside two fresh news results. 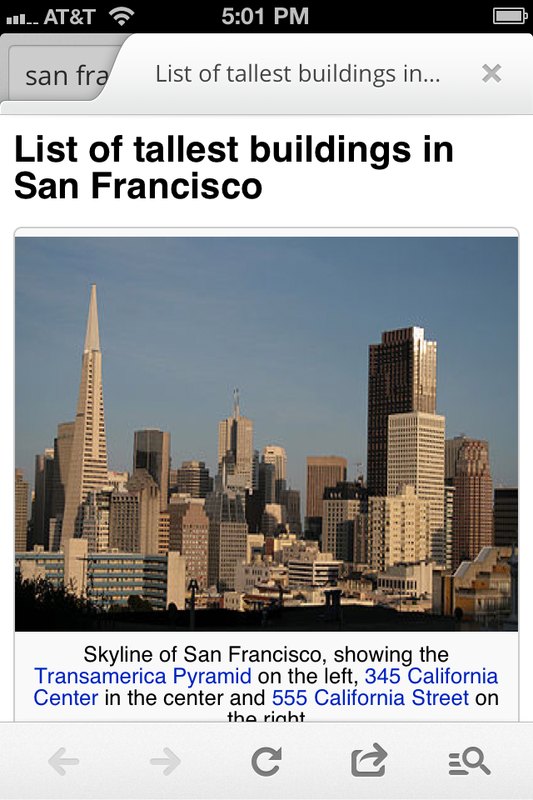 More comprehensive predictions for local queries. [project codename "Autocomplete"] This change improves the comprehensiveness of autocomplete predictions by expanding coverage for long-tail U.S. local search queries such as addresses or small businesses. Improvements to triggering of public data search feature. [launch codename "Plunge_Local", project codename "DIVE"] This launch improves triggering for the public data search feature, broadening the range of queries that will return helpful population and unemployment data. Adding Japanese and Korean to error page classifier. [launch codename "maniac4jars", project codename "Soft404"] We have signals designed to detect crypto 404 pages (also known as “soft 404s”), pages that return valid text to a browser, but the text only contains error messages, such as “Page not found.” It’s rare that a user will be looking for such a page, so it’s important we be able to detect them. This change extends a particular classifier to Japanese and Korean. More efficient generation of alternative titles. [launch codename "HalfMarathon"] We use a variety of signals to generate titles in search results. This change makes the process more efficient, saving tremendous CPU resources without degrading quality. More concise and/or informative titles. [launch codename "kebmo"] We look at a number of factors when deciding what to show for the title of a search result. This change means you’ll find more informative titles and/or more concise titles with the same information. Fewer bad spell corrections internationally. [launch codename "Potage", project codename "Spelling"] When you search for [mango tea], we don't want to show spelling predictions like “Did you mean 'mint tea'?” We have algorithms designed to prevent these “bad spell corrections” and this change internationalizes one of those algorithms. More spelling corrections globally and in more languages. [launch codename "pita", project codename "Autocomplete"] Sometimes autocomplete will correct your spelling before you’ve finished typing. We’ve been offering advanced spelling corrections in English, and recently we extended the comprehensiveness of this feature to cover more than 60 languages. More spell corrections for long queries. [launch codename "caterpillar_new", project codename "Spelling"] We rolled out a change making it more likely that your query will get a spell correction even if it’s longer than ten terms. You can watch uncut footage of when we decided to launch this from our past blog post. More comprehensive triggering of “showing results for” goes international. [launch codename "ifprdym", project codename "Spelling"] In some cases when you’ve misspelled a search, say [pnumatic], the results you find will actually be results for the corrected query, “pneumatic.” In the past, we haven’t always provided the explicit user interface to say, “Showing results for pneumatic” and the option to “Search instead for pnumatic.” We recently started showing the explicit “Showing results for” interface more often in these cases in English, and now we’re expanding that to new languages. “Did you mean” suppression goes international. [launch codename "idymsup", project codename "Spelling"] Sometimes the “Did you mean?” spelling feature predicts spelling corrections that are accurate, but wouldn’t actually be helpful if clicked. For example, the results for the predicted correction of your search may be nearly identical to the results for your original search. In these cases, inviting you to refine your search isn’t helpful. This change first checks a spell prediction to see if it’s useful before presenting it to the user. This algorithm was already rolled out in English, but now we’ve expanded to new languages. Spelling model refresh and quality improvements. We’ve refreshed spelling models and launched quality improvements in 27 languages. Fewer autocomplete predictions leading to low-quality results. [launch codename "Queens5", project codename "Autocomplete"] We’ve rolled out a change designed to show fewer autocomplete predictions leading to low-quality results. Improvements to SafeSearch for videos and images. [project codename "SafeSearch"] We’ve made improvements to our SafeSearch signals in videos and images mode, making it less likely you’ll see adult content when you aren’t looking for it. Improved SafeSearch models. [launch codename "Squeezie", project codename "SafeSearch"] This change improves our classifier used to categorize pages for SafeSearch in 40+ languages. Improvements to SafeSearch signals in Russian. [project codename "SafeSearch"] This change makes it less likely that you’ll see adult content in Russian when you aren’t looking for it. Increase base index size by 15%. [project codename "Indexing"] The base search index is our main index for serving search results and every query that comes into Google is matched against this index. This change increases the number of documents served by that index by 15%. *Note: We’re constantly tuning the size of our different indexes and changes may not always appear in these blog posts. New index tier. [launch codename "cantina", project codename "Indexing"] We keep our index in “tiers” where different documents are indexed at different rates depending on how relevant they are likely to be to users. This month we introduced an additional indexing tier to support continued comprehensiveness in search results. Backend improvements in serving. [launch codename "Hedges", project codename "Benson"] We’ve rolled out some improvements to our serving systems making them less computationally expensive and massively simplifying code. 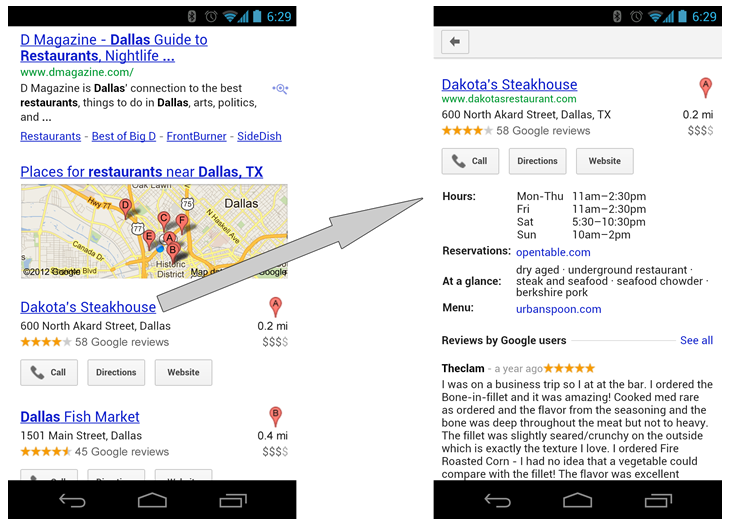 "Sub-sitelinks" in expanded sitelinks. [launch codename "thanksgiving"] This improvement digs deeper into megasitelinks by showing sub-sitelinks instead of the normal snippet. Better ranking of expanded sitelinks. [project codename "Megasitelinks"] This change improves the ranking of megasitelinks by providing a minimum score for the sitelink based on a score for the same URL used in general ranking. Sitelinks data refresh. [launch codename "Saralee-76"] Sitelinks (the links that appear beneath some search results and link deeper into the site) are generated in part by an offline process that analyzes site structure and other data to determine the most relevant links to show users. We’ve recently updated the data through our offline process. These updates happen frequently (on the order of weeks). 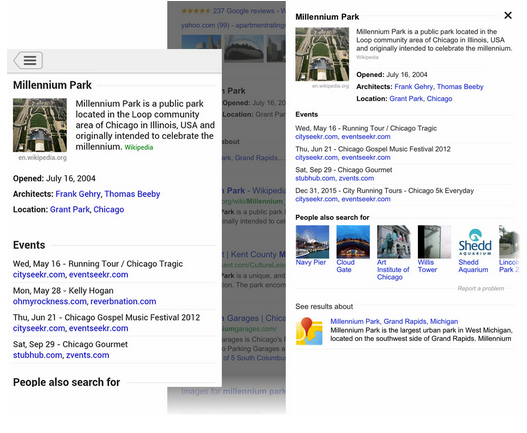 Less snippet duplication in expanded sitelinks. 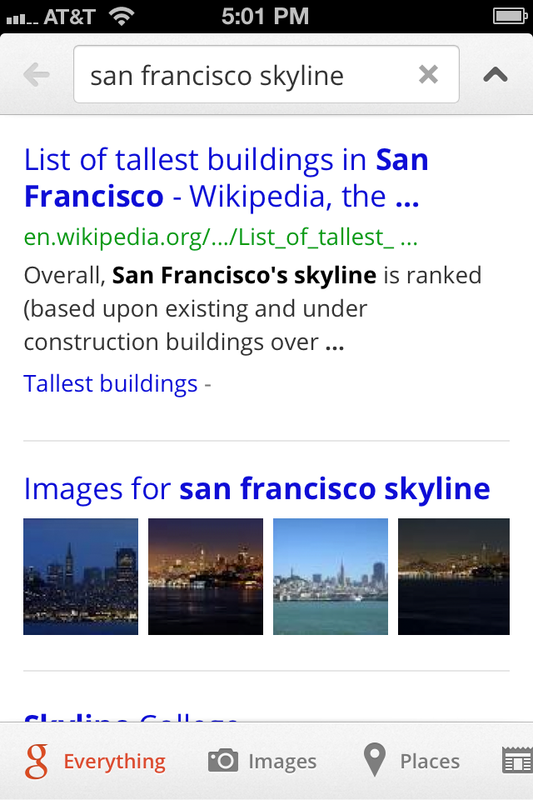 [project codename "Megasitelinks"] We’ve adopted a new technique to reduce duplication in the snippets of expanded sitelinks. Movie showtimes search feature for mobile in China, Korea and Japan. We’ve expanded our movie showtimes feature for mobile to China, Korea and Japan. MLB search feature. [launch codename "BallFour", project codename "Live Results"] As the MLB season began, we rolled out a new MLB search feature. 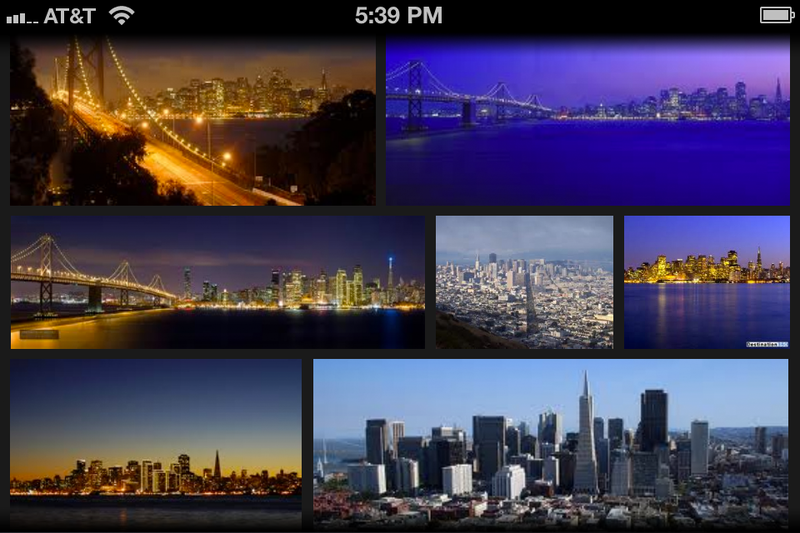 Try searching for [sf giants score] or [mlb scores]. Spanish football (La Liga) search feature. This feature provides scores and information about teams playing in La Liga. Try searching for [barcelona fc] or [la liga]. Formula 1 racing search feature. [launch codename "CheckeredFlag"] This month we introduced a new search feature to help you find Formula 1 leaderboards and results. Try searching [formula 1] or [mark webber]. Tweaks to NHL search feature. We’ve improved the NHL search feature so it’s more likely to appear when relevant. Try searching for [nhl scores] or [capitals score]. Keyword stuffing classifier improvement. [project codename "Spam"] We have classifiers designed to detect when a website is keyword stuffing. This change made the keyword stuffing classifier better. More authoritative results. We’ve tweaked a signal we use to surface more authoritative content. Better HTML5 resource caching for mobile. We’ve improved caching of different components of the search results page, dramatically reducing latency in a number of cases. Update 6 May, 950am: We accidentally had one change included twice, "No freshness boost for low-quality content." We've removed the duplicate entry and updated the number of total launches from 53+ to 52+. - Ed. tool. Image Search matched the picture with others copies found on the web: not only did we find the original source (an encyclopedia from 1826!) --we found a whole new world of information. The students’ eyes lit up when they understood there was a technological answer to a problem they commonly encounter, and one which helped them increase the quality of their work as well. The technology gave them the opportunity to be detectives and ferret out the “truth” behind an image. In the interest of creating more of these magical moments for students, we’re pleased to announce our new Search Education website, bringing educators the tools they need to help students become savvy searchers and independent learners. Learning to tap the full potential of Google Search empowers students in both their academic and daily pursuits. Search education provides the technical tools and critical thinking skills crucial to preparing today’s students to be technologically self-reliant, independent learners. For the past several years, the Google Search Education team has offered classes to help educators around the world discover Google Search tools that allow for great precision and depth in academic research. Knowing how to search has so many benefits, but we know teachers need materials in order to teach these skills. That’s why we created our new Search Education hub, complete with lesson plans based upon the Common Core State Standards and “A Google a Day” search challenges, as well as trainings you can watch. We look forward to hearing about your experiences teaching search techniques in the classroom, and receiving feedback that will help us continually improve Search Education offerings. Feel free to drop us a line at search-educators@google.com. The other day, some students and I were looking at a picture on a website, identified only as a page from an old encyclopedia. We wanted to find the original source, and tried dragging the picture into the Google Images search box, triggering the Search by Image tool. Image Search matched the picture with others copies found on the web: not only did we find the original source (an encyclopedia from 1826!) --we found a whole new world of information.